Jay Z’s Roc Nation have honoured DJ Switch Ghana known in real life as Erica Armah Bra-Bulu Tandoh as we commemorate Black History Month this month, February. 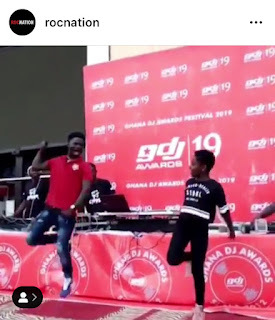 “Today we honor DJ Erica Tandoh, @djswitchghana, a 10 yr old who is the youngest recipient to win the Ghana DJ Awards. She gets everyone on their feet dancing & in a good mood. “I picked the name DJ Switch because I switch up people’s happiness” – Erica Tandoh #BlackHistoryMonth"